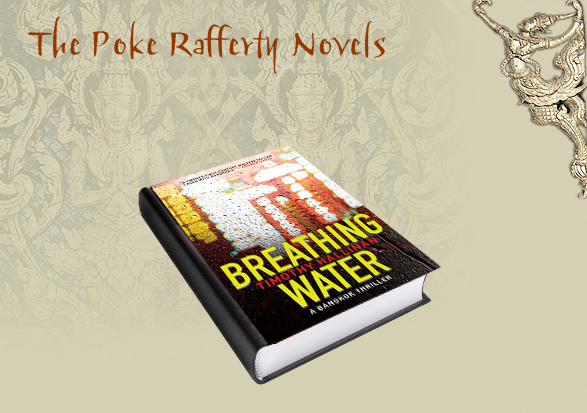 When Poke Rafferty wins, in a late-night poker game, the right to write the biography of an eccentric and mysterious Thai billionaire, he has no idea what’s in store. Within 24 hours, the lives of his family are threatened if he writes the book, and two hours after that, the lives of his family are threatened if he doesn’t write the book. As Poke tries to pick his way through the minefield, it becomes apparent that he’s a pawn in a battle between some of the most powerful and unaccountable people in Thailand, and that his only real allies are some of the Kingdom’s least powerful inhabitants—beggars, runaways, and street children. The central question seems to be, can the small bring down the great? And Poke's life, as well as those of Rose and Miaow, are riding on the answer.